Best Technical Sophistication Ward winners from Gort, from left, Sam Walsh, Andrew Murray, Niall Flanagan, Darog Bennett,and Rory Collins, with Clare McInerney(organiser) and Steven Holmes (instructor). 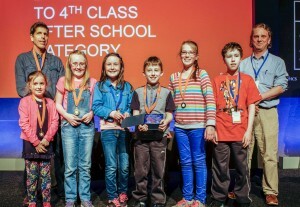 PRIMARY-school pupils from South Galway and North Clare were among the award winners at the National Scratch programming finals held in Dublin Castle recently. CreativeComputerLab in Gort; Coder Dojo, Kinvara and New Quay National School were each represented in the final 25, out of more than 800 entries from across the country. The national competition is run by the Irish Computer Society and Irish Software Engineering Research Centre, Lero. Scratch is a visual programming language and online community developed by MIT, where people can create their own interactive stories, games and animations. It encourages children to learn computer programming and share their projects online on the Scratch server. 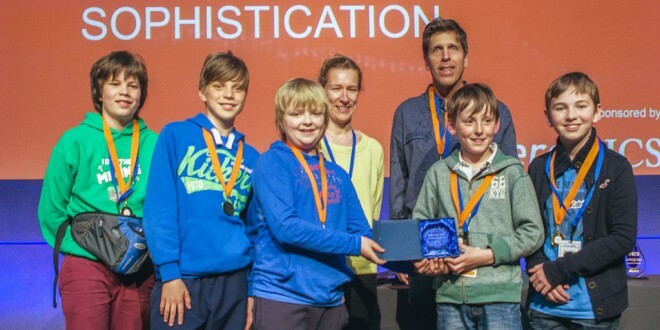 The Scratch finals are held in conjunction with TechWeekIRL, which is a week-long technology festival held in Dublin Castle. CoderDojo, Kinvara was a finalist in the after-school section in the junior infants to first class category. Ariel Gorman developed an animated storybook of Dr Seuss’ book, entitled Oh The Places You’ll Go, in which users press arrow keys to move forward or backwards through the pages of the book. Coderdojo Kinvara was the category winner in the fifth class to sixth class section, with an e-learning game, that teaches while having fun. In the same category, CreativeComputerLab in Gort won the Best Technical Sophistication Award for Terrain Jumper, a physics game where the player jumps to get air and then sees how many flips it can do without making a crash landing. 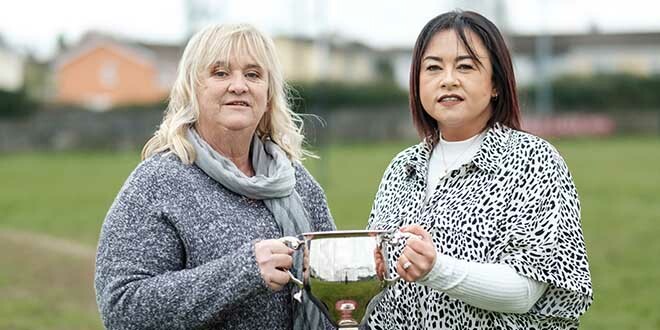 The Gort group was the category winner in the after-school section for second to fourth-class children. Their Typing Game is aimed at helping the user build up their typing skills by seeing how fast they can type letters and words. In the fifth and sixth-class school section, New Quay National School were finalists for their project outlining the history and features of the Burren. All the finalists games, stories and projects can be seen and played on the website, scratch.ie/competition. Steve Holmes runs CreativeComputerLab at Gort Community School and teaches the lessons in New Quay National School. He has taught winners in the competition in 2011, 2012 and 2013. “Many of my students have been with me long-term, having completed beginner, intermediate and advanced courses. A notable feature of our projects this year is the team effort. Each member worked on a piece of the project and we continuously merged the pieces together into the main project. This is how software development happens today in the real world,” he said. Steve believes all students should try computer programming.